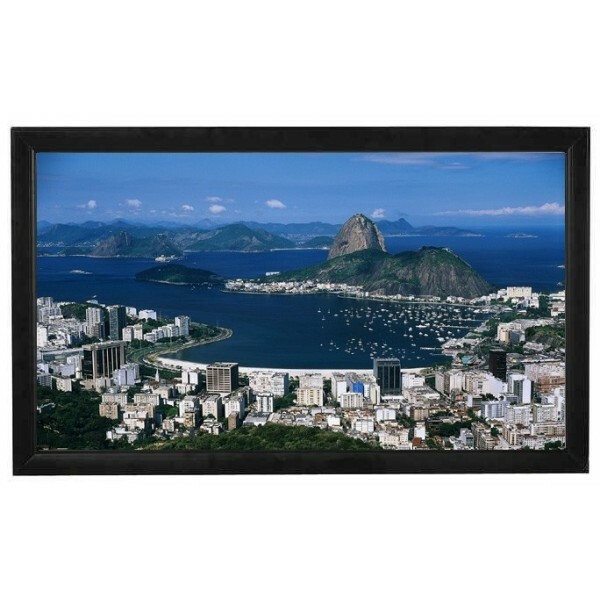 This lightweight and durable fixed frame screen features super quality construction of beveled, aluminum frame covered with beautiful plush black velvet. The wide of the frame is 3.25 inches. Unlike those 1.5" or 2" frame, the wider frame offers you a stronger support to prevent the frame from deformation caused by the long-term tight screen contraction. The high quality professional HD-resolution screen material creates sharp and vibrant images, giving you a sensational theater experience. 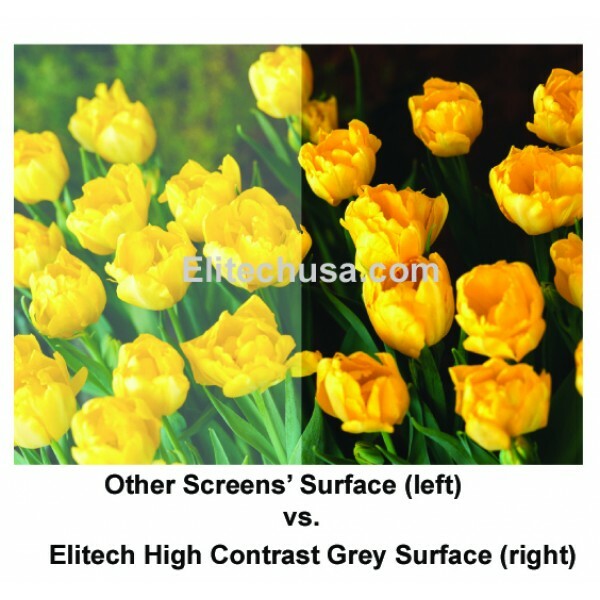 -High Contrast Grey (Gain 1.0) screen materials last for years. 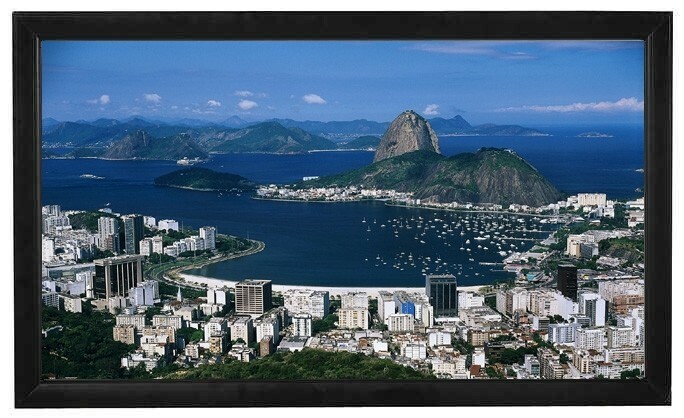 -3.25" wide aluminum frame is lightweight and durable. -120 degree of high effective scattered screen angel offer you clear picture from either central view or side view. -Very easy to set up and install. -Ideal for home theater movies, classroom training or conference room presentations. -Perfect for any LCD, DLP, or CRT projection system.